Hyundai has unveiled the Veloster C3 Roll Top Concept at the 2012 Los Angeles Auto Show, adding to the unique design of the Korean coupe. According to the Hyundai, C3 stands for "Convertible 3-door". The concept features a automatically retracting canvas-top in place of the center section of the roof and a rear tailgate which flips down like a printer's tray. 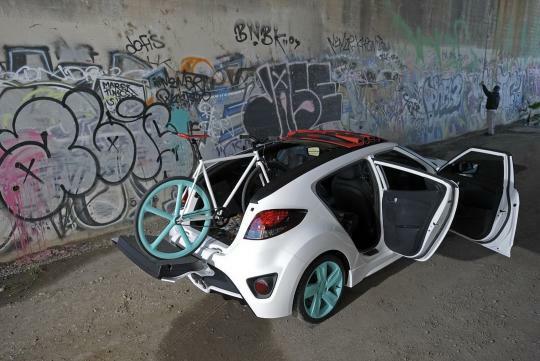 Hyundai has also designed a latch at the rear compartment for securing a bicycle with the tailgate opened. On the new concept, Hyundai commented, "In convertible mode with the top rolled back, the C3 is a free spirit for driving along the Pacific Coast Highway. Roll the top forward, open the tailgate, fold the rear seats and the C3 goes into recreation mode - perfect for surfing, biking or kayaking." The C3 concept has a blackened front grille, orange-coloured side mirrors, 18-inch alloy rims in different shades for the front and back wheels. 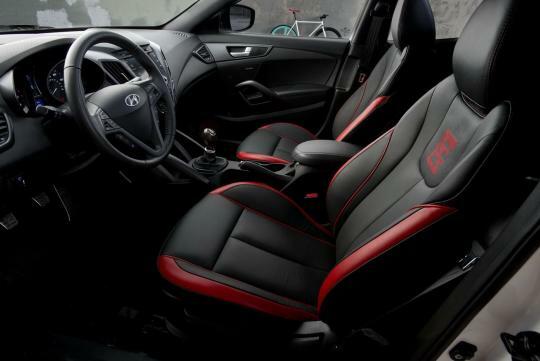 The front leather seats come with red trimmings at the supportive areas. "We were inspired by the proverb 'A rolling stone gathers no moss", explained Chris Chapman, chief designer of Hyundai Design North America. 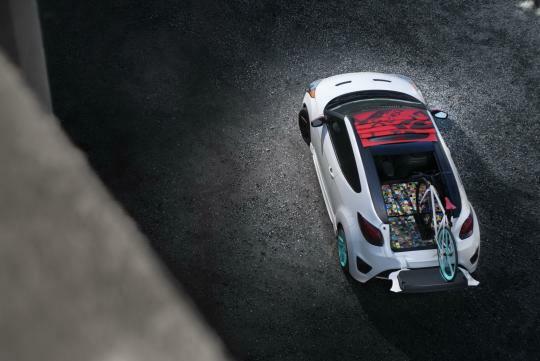 "The Veloster C3 Roll Top concept offers the 'no strings attached' freedom of a roll top convertible and customizable utility that fits an everyday to a play day dual lifestyle."